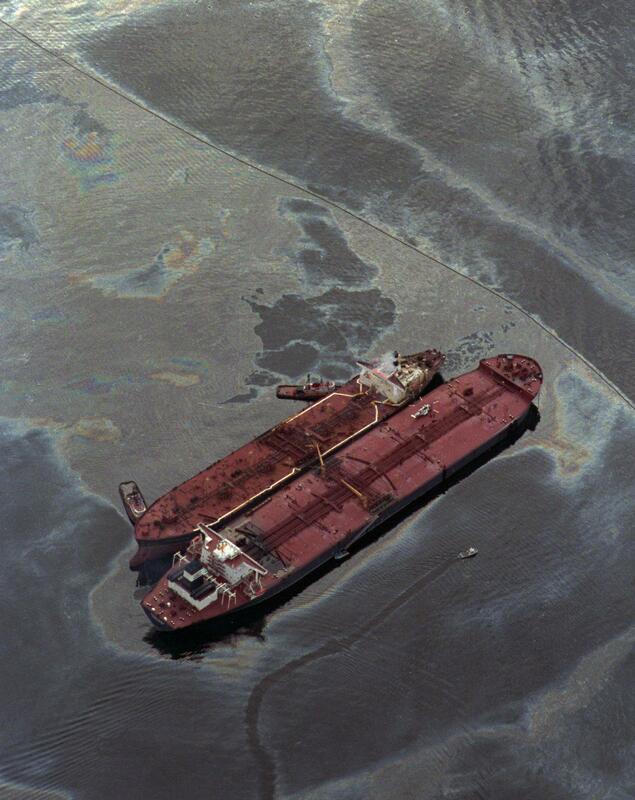 30 years ago today, Alaskans awoke to the horrific news that the Exxon Valdez had inexplicably ran aground on Bligh Reef in Price William Sound. The tanker, bound for Long Beach, California, was carrying 53.1 million gallons of crude. 11 million gallons of that crude spilled into Prince William Sound. At the time, the Valdez spill was the largest in U.S. waters. The Deep Horizon disaster has since eclipsed it. The Valdez spill is still considered one of the most devastating human caused environmental disasters. The spill eventually impacted over 1300 miles of coastline. No booms or skimmers were readily available during the first 24 hours of the spill. Over 11,000 Alaskans converged on the area to help with the cleanup. In total, it has been estimated that far less than 10% of the spilled oil was cleaned from the surfaces that were impacted. Unfortunately, many of the chemicals used to disperse the crude did their own damage, killing plankton, which is the basis of the coastal marine food chain. Bacteria and fungus was also killed, which can facilitate the biodegradation of oil. In addition, the chemicals that were sprayed on the oil slick were not fully tested, and many workers on the cleanup crew were subject to agents that caused liver, kidney, lung, nervous system and blood disorders later in life. The Exxon spill had an immediate effect on wildlife. 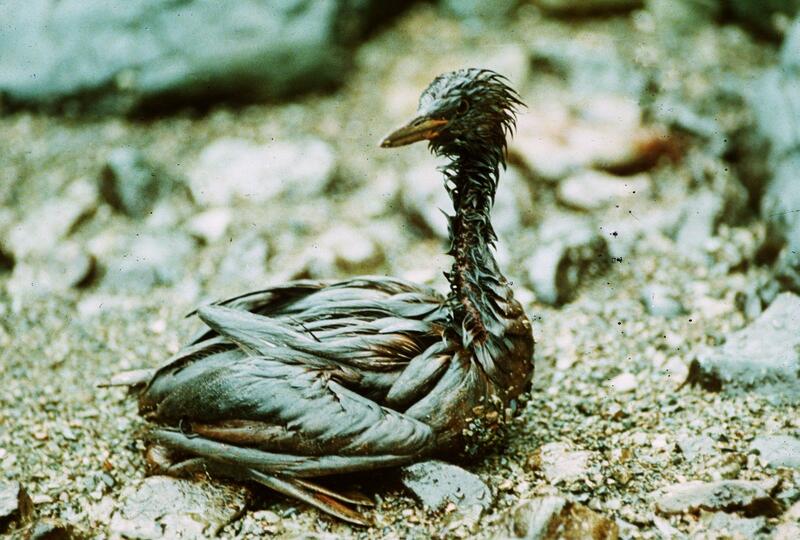 Between 100,000 – 250,000 sea birds were killed in the weeks after the spill. At least 2800 sea otters, 12 river otters, 300 harbor seals, 247 bald eagles, 22 orcas, and an unknown number of salmon and herring were also destroyed. 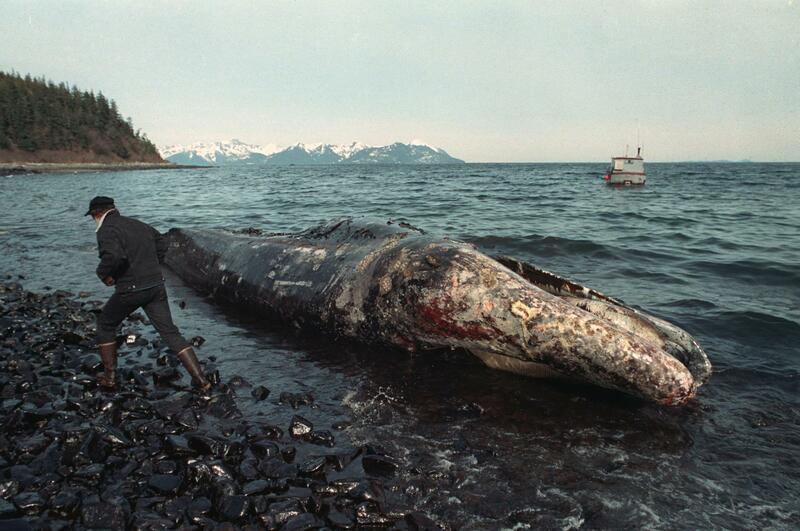 Surveys conducted in 2001 estimated that 60.62 tons (55,000 kg) of crude oil remained on the beaches of Prince William Sound. 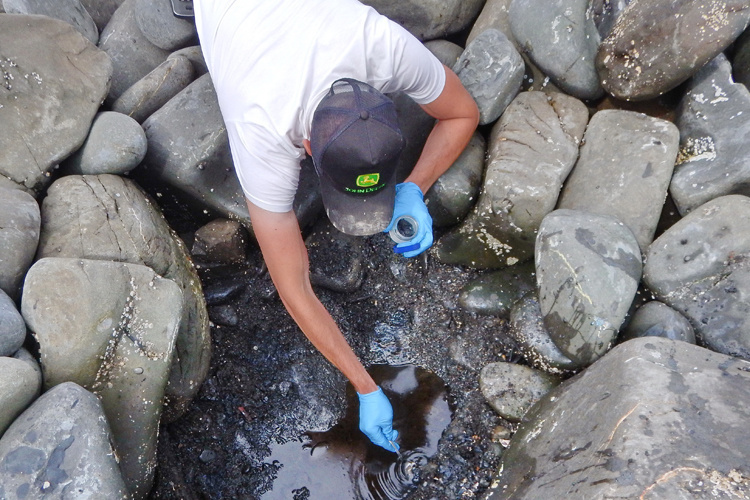 In 2015, the National Marine Fisheries Service went back to the beaches that were impacted by the Exxon Valdez spill. 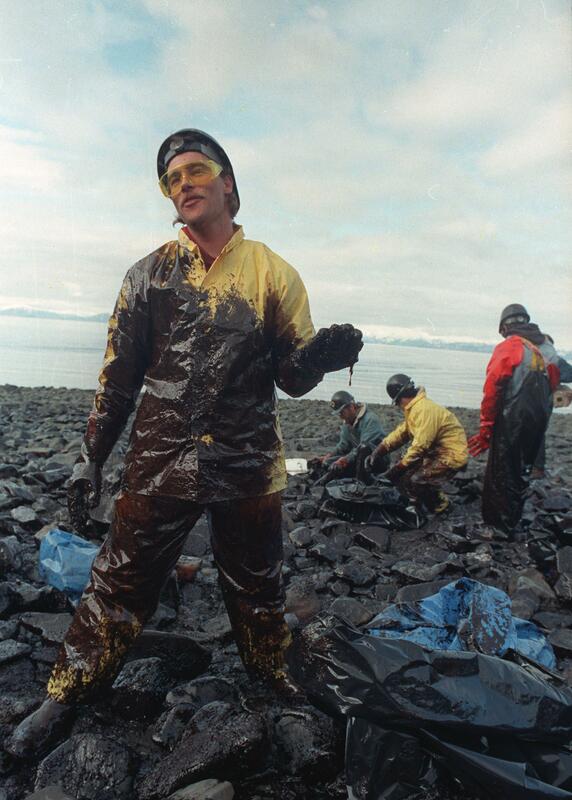 They found patches of crude were still distributed under the beaches of Prince William Sound. What’s more, they found that the crude’s chemical composition had not changed over the years. 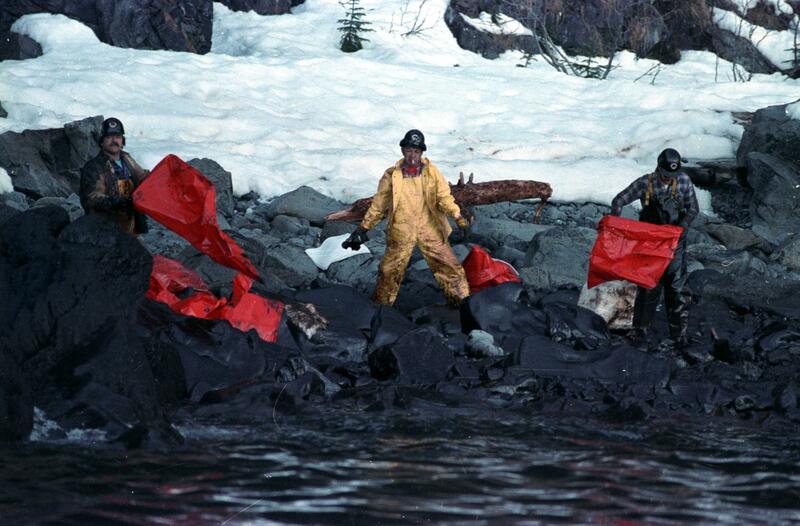 This entry was posted on Sunday, March 24th, 2019 at 8:04 AM	and tagged with exxon valdez, history, oil spill, photo, prince william sound, wildlife and posted in Alaska. You can follow any responses to this entry through the RSS 2.0 feed.